Drawing on the photographic collection of Sir John Marshall at the ACP, one of the most reputed British archaeologist of India and the longest serving Director-General of the Archaeological Survey of India, this volume explores some of the civilizational histories of ‘ancient India’ that were founded through archaeological fieldwork and its photography. 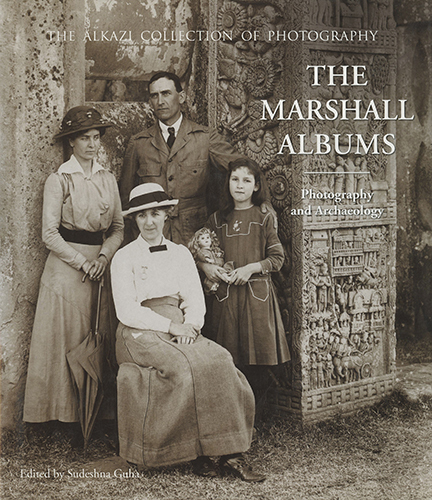 While maintaining focus on Marshall’s contributions to South Asian archaeology, it encourages a critical review of archaeology’s emergence as an authoritative science in the writing of India’s history, and the agency of photographs in establishing parameters of archaeological field research. By engaging with the physicality of scopic and evidential regimes the contributors also showcase the diverse manifestations, and inevitable uses, of archaeological practices within British India. The book highlights major sites such as Sanchi, Sarnath, Mohenjodaro and Taxila- often referred to as Marshall’s archaeological triumphs. Sudeshna Guha is Affiliate Lecturer in South Asian History at the Faculty of Asian and Middle Eastern Studies in Cambridge (UK). Robert Harding is an archaeologist and Senior Research Fellow for the ‘Civilisations In Contact’ research project, Cambridge.